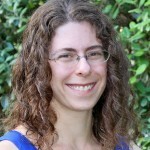 Deborah Bolnick, PhD, is an Assistant Professor in the Department of Anthropology and Population Research Center at the University of Texas at Austin. She received her PhD in Anthropology from the University of California, Davis. Dr. Bolnick is a genetic anthropologist and population geneticist, and her work focuses on human genomic variation, race, genetic ancestry, population history, and disease prevalence, with a particular focus on Native American populations. Vence L. Bonham, JD, is the Senior Advisor to the National Human Genome Research Institute, Director on Genomics and Health Disparities and Associate Investigator in the Social and Behavioral Research Branch, Division of Intramural Research, NHGRI. Mr. Bonham is interested in how genomic discoveries influence social identity, how genomics might influence the use of the constructs of race and ethnicity in biomedical research, and the role of genetics and genomics in understanding racial and ethnic health disparities. Prior to joining the National Institutes of Health, Mr. Bonham was an Associate Professor at Michigan State University in the Colleges of Medicine and Law. 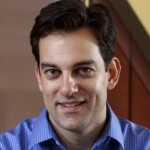 Richard Garcia, MD, is a pediatrician, physician executive, and author. He holds a medical degree from the University of Illinois at Chicago College of Medicine, and a Master of Medical Management from the University of Southern California Marshall School of Business. He trained in pediatrics and pediatric emergency medicine in Los Angeles. He is the editor of Everybody’s From Stockton: Reflections on Race and Medicine in America, a collection of interdisciplinary personal essays (forthcoming 2013). His second collection on health disparities is in progress. He has also published a work of short fiction, Aztecs at the Guggenheim, has completed a novel, Conquistador’s Daughter (not yet published), and is finishing a second novel, Bebop. Paul A. Godley, MD, PhD, MPP, is Executive Associate Dean for Faculty Affairs and Faculty Development, Professor in the Division of Hematology/Oncology at the University of North Carolina at Chapel Hill School of Medicine, Adjunct Professor in the Department of Epidemiology at the UNC School of Public Health, member of the UNC Lineberger Comprehensive Cancer Center, and a Senior Fellow at the UNC Sheps Center for Health Services Research. In 2001, Dr. Godley became Director of the Program on Ethnicity, Culture, and Health Outcomes (ECHO), a university initiative to advance understanding and elimination of racial health disparities through multidisciplinary research, education and training, and community partnerships. 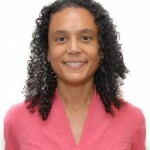 Dr. Godley is a graduate of Yale University and Harvard Medical School, and holds a PhD in epidemiology from the UNC School of Public Health. 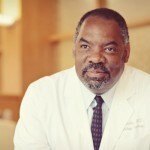 In addition to leading prostate cancer clinical trials, he has federally funded research experience in the epidemiology of prostate cancer, determinants of treatment choice, and treatment outcomes of this common condition that disproportionately affects African-Americans. 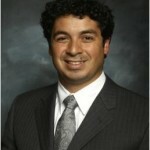 Ernesto Gonzalez, MD, is currently a second-year resident at the University of Chicago in the Department of Pediatrics. He completed his MD and MBA at the University of California, Irvine, and was part of the third cohort of the Program in Medical Education for the Latino Community (PRIME-LC program). He is interested in health disparities related to preterm birth and neonatal outcomes, as well as examining the health economics of neonatal care in the US. 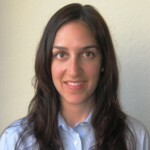 Helena Hansen, MD, PhD, is assistant professor of psychiatry and anthropology at New York University. 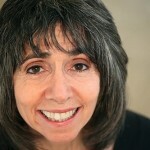 She is an anthropologist and psychiatrist who studies addiction and pharmaceuticals from the viewpoint of the production of class, race and gender; her fieldwork has ranged from evangelical street ministries in Puerto Rico to the ethnic marketing of addiction pharmaceuticals and prescription opioid abuse as a “white” middle class epidemic. She publishes in both clinical and social science journals, teaches both medical trainees and anthropology students, and her work has been supported by funders as diverse as NIDA, the Robert Wood Johnson Foundation, the Social Science Research Foundation, and the Mellon Foundation. 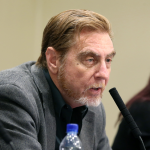 John Hartigan, PhD,is Director of the Américo Paredes Center for Cultural Studies and Professor of Anthropology at the University of Texas. He is author of Race in the 21st Century (Oxford 2010), What Can You Say: America’s National Conversation on Race (Stanford 2010), and Racial Situations: Class Predicaments of Whiteness in Detorit (Princeton 1999). He recently edited, Anthropology of Race: Genes, Biology, and Culture (SAR 2013). 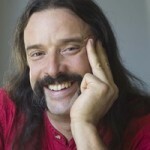 John Hoberman, PhD, is a Professor in the Department of Germanic Studies at the University of Texas at Austin. He is a social and intellectual historian whose research interests in the field of race studies focus on medicine and sports. His books include Black & Blue: The Origin and Consequences of Medical Racism (2012) and Darwin’s Athletes: How Sport Has Damaged Black America and Preserved the Myth of Race (1997). Dr. Hoberman has taught a course on “Race and Medicine in African-American Life” at the University of Texas at Austin since 2001. 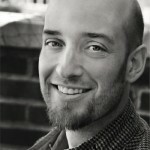 Seth M. Holmes, MD, PhD, is Martin Sisters Endowed Chair Assistant Professor of Public Health and Medical Anthropology at the University of California, Berkeley. A cultural anthropologist and physician, Dr. Holmes is interested broadly in social hierarchies, the social production of health and illness, and the ways in which perceptions of ethnoracial difference naturalize and normalize these inequalities. Dr. Holmes is author of the new book, Fresh Fruit, Broken Bodies: Migrant Farmworkers in the United States (2013). Joyce James, LMSW-AP, is the Associate Deputy Executive Commissioner for the Center for Elimination of Disproportionality and Disparities (CEDD) / Texas State Office of Minority Health at the Texas Health and Human Services Commission (HHSC). She began her professional career as a Child Protective Services (CPS) caseworker in 1980, and has served as the Assistant Commissioner for Texas Child Protective Services Program (2004-2009) and the Deputy Commissioner for Texas Department of Family and Protective Services (2009-2010). Ms. James has been a strong advocate for children, youth, and families, and an influential voice in raising and increasing public awareness about disproportionality and disparities that affect vulnerable populations. 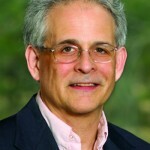 Jonathan Kahn, JD, PhD, is Professor of Law at Hamline University School of Law. He holds a Ph.D. in U.S. History from Cornell University and a J.D. from the Boalt Hall School of Law, University of California, Berkeley. His current research focuses on the intersections of law, race, and genetics, with particular attention to how regulatory mandates intersect with scientific, clinical and commercial practice in producing and classifying genetic information in relation to racial categories. He is the author of Race in a Bottle: The Story of BiDil and Racialized Medicine in a Post-Genomic Age (2012). Jay S. Kaufman, PhD, is Professor and Canada Research Chair in Health Disparities in the Department of Epidemiology, Biostatistics and Occupational Health at McGill University. He is also Visiting Professor in the School of Public Health of the University of Chile, Visiting Associate Professor in the Department of Epidemiology, University of Michigan School of Public Health, and Adjunct Professor Department of Epidemiology at the University of North Carolina, Chapel Hill. Dr. Kaufman’s work focuses on social epidemiology, analytic methodology, causal inference, and on a variety of health outcomes, including perinatal outcomes and cardiovascular, psychiatric, and infectious diseases. Diane M. Magrane, MD, is a professor of obstetrics and gynecology and Executive Director of the International Center for Executive Leadership in Academics (ICELA at Drexel®). ICELA supports two national leadership programs, the Hedwig van Ameringen Executive Leadership in Academic Medicine (ELAM®) program for women faculty in medicine, dentistry and public health at Drexel University College of Medicine, and the Executive Leadership in Academic Technology and Engineering program (ELATE at Drexel®) for women faculty in engineering and other STEM fields. Her academic medical career spans 30 years of progression from clerkship director to associate dean to national and international educator with a focus on women’s health and academic career and leadership development. As Associate Dean at the University of Vermont College of Medicine, she led the integration of basic science, clinical practice, and team-based leadership across the four years of a new curriculum for medical students. As Associate Vice President for Faculty Development and Leadership at the AAMC, she directed leadership programs for women in medicine, department chairs, and medical school deans. She continues her advocacy for women and clinical care through work with the Federation of Ob-Gyn societies (FIGO) to integrate professional education of human rights with women’s health care around the world. 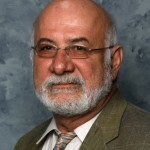 Kyriakos S. Markides, PhD, is the Annie & John Gnitzinger Professor of Aging Studies and Director of the Division of Sociomedical Sciences at the University of Texas Medical Branch in Galveston. He received his PhD in Sociology from Louisiana State University in 1976. He is currently the Principal Investigator of the Hispanic Epidemiological Study of the Elderly (EPESE) and editor of the Journal of Aging and Health (Sage Publications). Jamie McGuire, MD, MPH, is a third year OB/GYN resident at Northwestern University Prentice Women’s Hospital. She completed her medical school training at the University of California, Irvine, and was part of the second cohort of the Program in Medical Education for the Latino Community. During medical school, she completed her MPH at the University of Michigan with a focus on Health Behavior and Health Education as well as Community-Based Participatory Research. Jonathan Metzl, MD, PhD, is the Frederick B. Rentschler II Professor of Sociology and Psychiatry, and the Director of the Center for Medicine, Health, and Society, at Vanderbilt University in Nashville, Tennessee. He received his MD from the University of Missouri, MA in humanities/poetics and Psychiatric internship/residency from Stanford University, and PhD in American Culture from the University of Michigan. A 2008 Guggenheim fellow, Dr. Metzl has written extensively for medical, psychiatric, and popular publications. His books include The Protest Psychosis: How Schizophrenia Became a Black Disease, Prozac on the Couch: Prescribing Gender in the Era of Wonder Drugs, and Against Health: Is Health the New Morality?. 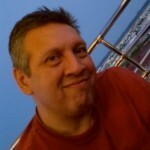 Michael J. Montoya, PhD, is an Associate Professor of Anthropology, Chicano/Latino Studies, Population Health & Disease Prevention, and Nursing Science at the University of California, Irvine. He is also core faculty for the Program in Medical Education for the Latino Community. 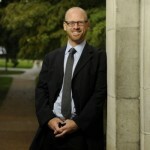 His research interests include race, genetics, inequality, community health and chronic disease prevention. Rayna Rapp, PhD, is Professor and Associate Chair in the Department of Anthropology at New York University. She has published the award-winning book, Testing Women, Testing the Fetus: the Social Impact of Amniocentesis in America, as well as many articles on the subjects of gender and health, genetic testing, disability, and the politics of reproduction. 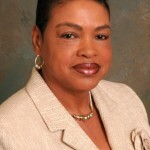 Dorothy Roberts, JD, is the fourteenth Penn Integrates Knowledge Professor, George A. Weiss University Professor, and the inaugural Raymond Pace and Sadie Tanner Mossell Alexander Professor of Civil Rights at University of Pennsylvania, where she holds appointments in the Law School and in the Departments of Africana Studies and Sociology. She is the author of Killing the Black Body: Race, Reproduction, and the Meaning of Liberty (1997), Shattered Bonds: The Color of Child Welfare (2002), and Fatal Invention: How Science, Politics, and Big Business Re-create Race in the Twenty-First Century (2011), as well as co-editor of six books on constitutional law and gender. Among her many public interest positions, Roberts is the chair of the Board of Directors of the Black Women’s Health Imperative. 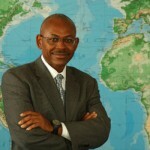 Charles Rotimi, PhD, a genetic epidemiologist and a biochemist, is the Director of the NIH Center for Research on Genomics and Global Health (CRGGH), which has the mission of advancing research into the role of culture, lifestyle, genetics, and genomics in disease etiology, health disparities, and variable drug response. 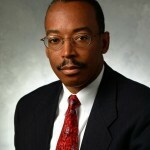 His team published the first genome-wide scan for hypertension and blood pressure in African Americans and for type 2 diabetes in West Africans, and his lab contributes to the global understanding of human genetic variation by actively participating in the development of international genomic resources including the HapMap, the 1000 Genome, and the African Genome Variation Projects. He is on the Executive and Scientific Committee for the International Federation of Human Genetics Societies, and he is the founding and current president of the African Society of Human Genetics (AfSHG). Recently, he successfully led the establishment of the Human Heredity and Health in Africa (H3Africa) initiative. With a $50 million commitment from the NIH and Wellcome Trust, H3Africa will create and support a network of labs that will conduct leading-edge research into the genetic and environmental determinants of diseases in Africans. Karen-Sue Taussig, PhD, is an Associate Professor of Anthropology at the University of Minnesota. She received her Ph.D. in Anthropology at The Johns Hopkins University. She has previously taught in the Department of the History of Science at Harvard University where she also held a two year post-doctoral position in the Department of Social Medicine. She is the author of Ordinary Genomes: Science, Citizenship, and Genetic Identities (Duke University Press, 2009).